What does Human in Recovery mean? Who is Kina Diaz DeLeon? Anyone familiar with this cycle for weight loss/improving health style? Back on September 12th I was diagnosed with Tarsal Tunnel Syndrome…like Carpal Tunnel Syndrome, just in the ankle. I’d been dealing with pretty excruciating nerve pain in my foot. So, I joined Weight Watchers, committed to 90 meetings in 90 days (today is Day 55, meeting 57), changed my eating, and started walking. I’m not exactly sure when I started walking, but, I haven’t missed a day since then. I worked my way up from just under a mile at a time to over two miles at a time. Throughout that time, the nerve pain never went away, but it diminished and walking got much easier…until day before yesterday. I logged a cumulative six miles in one day. I pushed again yesterday and logged 2.6 miles. The pain came back with a vengeance…and I’m feeling frustrated by my self-sabotage and discouraged by my continued overeating. In the past, this would have been the point at which I gave up. Not this time. This time I have the WW community. Yesterday, I walked in the door of the studio and I was greeted by name by one of the “Wellness Guides” (formerly, receptionist). One of the Guides is also a coach in other workshops (meetings) I’ve attended. She always asks what number I’m on and tells me what an inspiration I am. She “brags” to other members about what I’m doing as a way to motivate and encourage them. The Coach for that meeting is very focused on the members giving ourselves credit and props for showing up and engaging. There’s also the online community who has been following along on Instagram and FB, where I share more of the day to day details of this journey I’m on. Plus, my fellow bloggers who are also encouraging me. There’s my faith community where we go broader and deeper into all our lives and journeys. Several of them are also following my journey on FB & IG. These three communities are encouraging and supporting me. I’m holding myself accountable to them. And, if I’m being honest, the praise and approval is motivating me, as well. Is that shallow and less “evolved” than one should be at 49? Probably. But, it is what it is…another thing for me and my therapist to discuss. Another thing that’s different is that I’m one of my “whys.” I finally feel like I deserve to take the time I need and give myself the attention and consideration I should to make taking care of me one of my priorities. Walking is part of my daily self-care routine. It helps my mental health. However, I don’t have to walk six miles in a day. I need activity every day, but one mile, approximately 20 minutes is sufficient. When I walk, I need to walk enough to raise my heart rate but, I don’t have to push myself like I’m in a race. I need to reframe why I’m walking. It’s helping me lose weight, but, it’s purpose is to improve and maintain mental and physical health through daily activity. I need to remember that the ultimate goal isn’t the weight loss. It’s mental and physical health and wellness so I can sustain and maintain consistent functionality in taking care of my responsibilities, my relationships, and become self-sufficient. WW, formerly known as Weight Watchers. “Wellness that works.” What finally drove me to sign up for a weight loss program after decades of self-sufficient obesity? The top of my foot is so hypersensitized right now that the hem of my pant leg feels like a jagged, splintered shard of glass scraping across it. According to the doctor it’s a rare condition called Tarsal Tunnel Syndrome. Like Carpal Tunnel, but, in the foot. Yay me! I have a knack for the unusual when it comes to pain and injury. A few years ago, I fell and gave myself a spiral sprain. That’s usually something athletes get, not the general population. But, that’s another story for another time. Gabapentin – an anticonvulsant sometimes used to treat a wide array of mood disorders with some extreme (but rare) side effects like agitation, increased libido, and mania…Sounds like it could trigger a manic episode and I’m already taking four different psych meds to manage the bipolar, depression, anxiety, and insomnia. No. Thank. You. Surgery – I’m a single mom, struggling to parent my High Functioning Autistic child who also experiences ADHD. I also live upstairs. I can’t afford an extended recovery period from surgical intervention. Weight Loss – the universal answer to whatever ails you if you carry excess fat on your body, Don’t EVEN get me started! However, it was the most viable of my three options. Initially, I doubted I could effectively transition from a life so sedentary that my spirit animal could be mistaken as a sloth. After all, WALKING HURT! So, I decided nutrition was the key. I have lost weight before, using activity and nutrition. As a matter of fact, I lost 20 lbs at the beginning of this year with walking and changing to a healthier diet. Then, I transitioned from my manic state to a bad depressive state, stopped moving, and switched to a fast food diet. The 20 came back and brought a few friends. Five to be exact. So, here I was – a 49 year old, medically obese woman of 265 lbs with hypothyroidism, Type II Diabetes, high cholesterol, Bipolar II Disorder, PTSD, fibromyalgia, and, now, Tarsal Tunnel Syndrome. I also have the child I’m parenting, a 25 year old daughter, who is also parenting three littles, who (whom?) has me as her primary emotional support person and occasional baby sitter, and a son turning 32 in three days. I have a lot of healing to do and a lot to live for. Also, I’m finally reaching the point in life where I believe I’m worth taking care of, too. So, I searched Weight Watchers. They still had their Labor Day Special going on. It was barely something I could financially afford. I’m destitute. Between my youngest daughter’s issues and mine, I am not currently able to sustain employment. Her dad pays for electricity, internet, this miniature hand-held computer I use to blog aka cell phone, and pays for all she needs. I live in public housing, survive on $352/mo of SNAP benefits (formerly known as food stamps), and a $72/mo stipend. I committed close to half my stipend to the first six months of my Weight Watchers lifestyle. Since I also experience a hitherto undiagnosed Binge Eating Disorder, I decided to approach this like a recovery program and committed myself to attend 90 meetings in 90 days. Today, November 6, 2018 is my 53rd day and I will be attending my 55th meeting. If you’re curious about or interested in how this part of my journey has gone, you can find it on my Instagram, humaninrecovery. Start here. Addendum: I’ve lost about 20 lbs and I have walked daily for the past several weeks and can now walk two miles at a time…sometimes in under 20 min/mile. Yes, the nerve pain is still there. Click image to discover other NanoPoblano bloggers. Today was the first of seven of these workshops I’ll be attending this week on my “90 meetings in 90 Days” journey. (I owe you a post to explain that. Tomorrow. Maybe.) Today’s discussion was interesting. I’m looking forward to see how it gets addressed in the other workshops. The weekly handout suggested that being happy makes the healthy activities we do in our lives more possible and increases the experience of those things. It also acknowledged that partaking of those activities increases happiness. My immediate reaction was to scoff at the Life Circumstances percentage. I mean, although it hasn’t been as painful and difficult as other people’s, it’s been generously peppered with a lot of trauma. Consequently, I have PTSD. Plus, I experience Depression, Bipolar 2 Disorder, fibromyalgia, and am parenting a child with regularly tells me things like she wishes I would kill myself or that I had been born dead. Yeah. Happiness is HARD. That’s a LOT of genetics and life circumstances. I spend a lot of time fighting tears, dealing with bureaucracy, and managing conflict. I’m skeptical that Happiness is a state of being that’s more than occasionally possible for me. I think Acceptance and Contentedness are much more doable. I think there can be moments of happiness. I think we have to be emotionally and mentally healthy and functional to be able to experience even those moments of happiness. I simply don’t believe that Happiness is achievable as a permanent state. The ability to experience happiness. I read this on another Tiny Pepper’s NanoPoblano 2018 blog the other day. It struck me with its profundity. It seemed quite biblical. How skinny is skinny enough?!? I could never get THAT small. The fact of the matter is that it doesn’t matter what their size is and it’s not mandated that I get that small and have my body look like theirs. Their journey is different than mine. Their whys are probably different than mine. They are different from me. We are all unique and special in our own way. So are our journeys. We do have something in common, though, other than our need/desire to lose weight. Learning how to care for ourselves well is key to making it through to the end of this stage of our life’s journey AND not having to go through this stage again. There are some internal prerequisites to achieve those basics. The first of which is deciding that you have value, that your life matters, and your needs are as important as anyone else’s needs. That belief in one’s own value leads to the second prerequisite: boundaries. What are those? The ability to say, “No,” to unreasonable demands and requests, is a key boundary. The ability to decide how to deal with and whether to take the criticisms, snide & snarky remarks, manipulation, and verbal abusiveness, all of which are so prevalent in our lives. The ability to stand up for one’s self and assert the right to exist, breathe, and occupy the space you’re in, unapologetically. These are the foundation of this journey of healing, recovery, and growth we’re all on. Once those things are in place, as much is possible, then, self-care is possible. Once caring for and about oneself is primary, then, belief in our own abilities comes next and we become unstoppable…even if we can’t see the end from the beginning, at first. 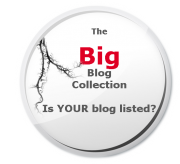 Click on image to find other NanoPoblano bloggers. • Family – I have two adult children (32 & 25), three grandchildren (4,3, & 1), and a nearly 10 year old on the higher functioning end of the autism spectrum and who experiences ADHD. • Physical Health – Fibromyalgia, Hypothyroidism, Type 2 Diabetes, Sleep Apnea, High Cholesterol, and Tarsal Tunnel Syndrome. 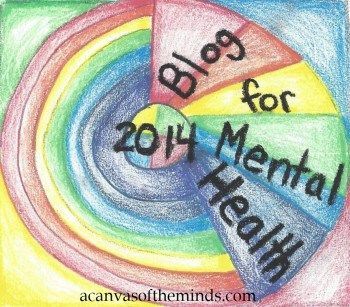 • Mental Health – Bipolar 2 Disorder, PTSD, Depression, Binge Eating Disorder. • Because I’m worthy of self-love and self-care. I’ve spent nearly five years of hard work to reach this point. I had been a toxic person in a toxic relationship. I had severely broken relationships with my two adult children. I was so overwhelmed and depressed I was barely functional. I was so consumed with self-loathing that I hid from the world, making myself sicker and sicker, consuming all the food and media I could numb out on. Now, I’m working on staying centered in the here and now, continuing to heal, grow, and build relationships with my children, engaging with the world and people around me, and learning how to treat myself with the care, compassion, and love I have and want to have for each person I encounter. It’s past time for me to become the best version of myself. Click image to find more NanoPoblano posts from other bloggers. 🤔 You’ve probably noticed, or maybe not, how dormant my blog has been for a long while. Periodically, I try to jumpstart my writing by doing a daily blog post challenge. This is another such effort. The past few times I started a challenge, I haven’t been able to do the full month before…life. My hope and my plan is to incorporate my life into this month’s effort. are among the things I’ll write about. There may even be a haiku or two and other poetry tossed into the mix. Welcome and thanks for joining me on this journey. Click above to find other NanoPoblano bloggers. Being bipolar, depressed, and anxious, means feeling insane, sometimes acting the same. The thing is, you’re not crazy or lazy, you’re amazing! You are neurodiverse, your brain is structured differently. You think differently, experience the world differently, and process those experiences differently. Your capacities, abilities, skills, and talents are different than those with neurotypical brains, not affected by chronic trauma. That doesn’t make you bad or wrong and it doesn’t mean you have to change the things which make you, you, in order to conform. Yes, medication may be useful, but, it isn’t a cure, because a cure isn’t needed. Think of it as the difference between “breaking” a horse and developing a relationship of trust while training the horse. Stop fighting to conform and force your brain to be something it’s not, not allowing it to do what it’s built for, and hobbling it’s ability to move and flow. Think of the medication as the tack – the bridle and reigns to direct, the saddle to stabilize, and the stirrups for holding more balance and control. When you lose your grip, slip, and fall, it may take a little bit of work and time, but keep getting back in the saddle and, each time, you’ll stay on and ride, going further and lasting longer. The world needs you to be you, not a copy or imitation of anyone else. Otherwise, God would have created you to be them and not you. Remember, you’re the only one capable of being you and you’re pretty special.